Aviation law (or Air law) is the branch of law that concerns flight, air travel, and associated legal and business concerns. The purpose and need for aviation law occurs from the globalization and expanding nature of human interaction as we move from the seas (admiralty law) to the air (aviation law) and to beyond our atmosphere (space law). Aviation laws are rules of conduct derived from a generally recognized concept of universal justice, a justice that serves not only the interests of the individual self, but a larger unselfish purpose that contributes to peace. Some of its area of concern overlaps that of admiralty law, (also referred to as maritime law), which is a distinct body of law which governs maritime questions and offenses. It is a body of private international law governing the relationships between private entities which operate vessels on the oceans. It is distinguished from the Law of the Sea, which is a body of public international law dealing with navigational rights, mineral rights, jurisdiction over coastal waters, and international law governing relationships between nations. Aviation law regulates the area of transportation facilities to facilitate the freedom of human beings to travel, as well as to protect and regulate this necessary rational action. Aviation law, however, in the United States, is not held under the same Federal mandate of jurisdiction as admiralty law; that is, which the United States Constitution provides for the administration of admiralty, it does not provide such for aviation law. Space law, which governs matters in outer space beyond the Earth's atmosphere, is a rather new area of law but one that already has its own journals and academic support. Expectedly, much of space law is connected to aviation law. In the United States and most European nations, aviation law is considered a federal or state-level concern and is regulated thereby at that level. In the U.S., states cannot govern aviation matters in most cases directly but look to Federal laws and case law for this function instead. In many cases, aviation law is considered a matter of international law due to the nature of air travel. However, the business aspects of airlines and their regulation also fall under aviation law. In the United States, the Federal Aviation Administration (FAA), governs applied aspects of flight. In the international realm, the International Civil Aviation Organization (ICAO) provide general rules and mediates international concerns to an extent regarding aviation law. 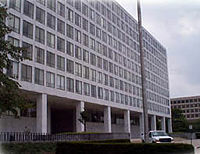 The ICAO is a branch of the United Nations. Along with the European Aviation Safety Agency, the FAA is one of the two main agencies worldwide responsible for the certification of new aircraft. Aviation law is a system of rules usually enforced through a set of institutions. This genre of law affects everyday life and society in a variety of ways. Aviation law regulates everything from buying a plane ticket to traveling in national and international space. In December 2000 an organization within the FAA called the Air Traffic Organization, or ATO, was set up by presidential executive order. This became the Air Navigation Service Provider for the airspace of the United States and for the New York (Atlantic) and Oakland (Pacific) oceanic areas. It is a full member of the Civil Air Navigation Services Organization. The FAA issues a number of awards to holders of its licenses. Among these are demonstrated proficiencies as a mechanic, an instructor, a 50-year aviator, or as a safe pilot. The latter, the FAA "Wings Program," provides a series of ten badges for pilots who have undergone several hours of training since their last award. A higher level can be claimed each year. For more information see "FAA Advisory Circular 61-91H." The FAA exercises surprise Red Team drills on national airports annually. The International Civil Aviation Organization (ICAO), an agency of the United Nations, codifies the principles and techniques of international air navigation and fosters the planning and development of international air transport to ensure safe and orderly growth. The ICAO Council adopts standards and recommended practices concerning air navigation, prevention of unlawful interference, and facilitation of border-crossing procedures for international civil aviation. In addition, the ICAO defines the protocols for air accident investigation followed by transport safety authorities in countries signatory to the Convention on International Civil Aviation, commonly known as the Chicago Convention. See NTSB, TSB, AAIB, BFU, and BEA. European Aviation Safety Agency (EASA) is an agency of the European Union with offices in Cologne, Germany, which has been given specific regulatory and executive tasks in the field of civilian aviation safety. It was created on September 28, 2003, and will reach full functionality in 2008, taking over functions of the JAA (Joint Aviation Authorities). EASA/JAA differences. The JAA was headquartered at Hoofddorp, near Schiphol Airport, Amsterdam. One difference between EASA and JAA is that EASA has legal regulatory authority within the European Union (EU) through the enactment of its regulations through the European Commission, Council of the European Union, and European Parliament, while most of the JAA regulatory products were harmonized codes without direct force of law unless implemented as such by JAA Nations. Also, some JAA nations, such as Turkey, were outside the EU; whereas by definition, EASA is an agency of the EU and other nations adopt its rules are procedures on a voluntary basis. The IAT Association is an international industry trade group of airlines headquartered in Montreal, Quebec, Canada (where the ICAO also happens to be headquartered, even though they are different entities). International Air Transport A was formed in April 1945, in Havana, Cuba. It is the successor to the International Air Traffic Association, founded in The Hague in 1919, the year of the world's first international scheduled services. At its founding, IATA had 57 members from 31 nations, mostly in Europe and North America. Today it has over 270 members from more than 140 nations in every part of the globe. South, Central, and North America. Europe, Middle East, and Africa. IATA Europe includes the geographical Europe and the countries Morocco, Algeria, and Tunisia. Asia, Australia, New Zealand and the islands of the Pacific Ocean. Major Kenneth Beaumont CBE, DSO, MA (Oxon), AFRAeS (10 February 1884 – 24 June 1965) is the individual probably most responsible for the development of international aviation law. After becoming a joint partner in 1911 of the London based legal practice, Beaumont and Son, (originally formed as a family practice by his grandfather in 1836) Major Beaumont turned the practice's focus to aviation law following an Imperial Airways accident in 1924. He was one of the three original legal advisers on the IATA (International Air Transport Association, although it was then called the International Air Traffic Association) Legal Committee and served in this capacity from 1925 to 1946. In the early part of his career at the IATA he was responsible for drafting the terms and conditions for passenger tickets, baggage checks, and consignment notes for cargo. 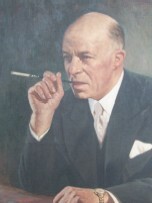 In 1929 Major Beaumont attended, as an observer on behalf of the IATA, a conference in Warsaw at which the Warsaw Convention for the unification of certain rules relating to international carriage by air was drafted. He was instrumental in persuading the conference members not to follow the Convention standard forms of tickets, baggage checks, and consignment notes. North West Airlines v. County of Kent, Mich., 510 U.S. 355, 1994. (The airport's fees were not unreasonable and do not violate the Commerce Clause). Hawaiian Airlines v. Norris, 512 U.S. 246, 1994. (The RLA [Railway Labor Act] does not pre-empt Norris'state law causes of action). ↑ Air Traffic Organization. Retrieved December 4, 2007. This page was last modified on 30 November 2012, at 16:43.